The innovation leader in high-precision color measurement solutions for the global print and packaging communities – announces today the release of its new SpectroVision inline quality assurance solution. Never before has a single solution offered live web viewing (registration, logos, text, etc. ), bar code grading, and color measurement capabilities at press speeds up to 1,000ft/minute. 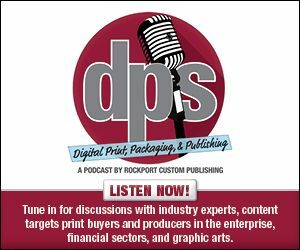 This is truly breakthrough technology and at a price point that allows narrow and medium web flexo and packaging printers to realize easy ROI’s resulting from shorter makereadies, reduced waste, and overall higher quality press runs. The SpectroVision measurement module consists of a scanning spectrophotomer, high resolution 2D camera, LED lights, motorized traverse arm, and an ISO white backing plate. It’s compact design allows it to be easily mounted into existing flexo, gravure, and digital presses. The system allows users to set up jobs, outside of the pressroom, with PASS/FAIL tolerances, days or weeks before going on press which translates to zero set up time for press operators. SpectroVision provides operators with an intuitive, quality control, cockpit for monitoring their press run. With two touch screen displays, operators can switch between viewing registration marks, performing real-time, ISO/ANSI style, bar code grading, and monitoring color quality metrics such as density, deltaE, TVI, G7, and more. SpectroVision remains the only inline scanning spectrophotometer on the market which is capable of measuring an entire press control strip (up to 100 color patches) in a single printed impression allowing operators to make color adjustments using significantly less time and materials. The SpectroVision was originally launched in April of 2018 and is set to revolutionize the flexographic and packaging print segment by centralizing or consolidating print quality monitoring tools into a single solution that is easy to use and affordable for printers of all sizes.